Natalia and Craig’s wedding took place in a rustic style manor in Virginia Beach. With elements of each of the couple’s background and life, the end result and photos were absolutely stunning. 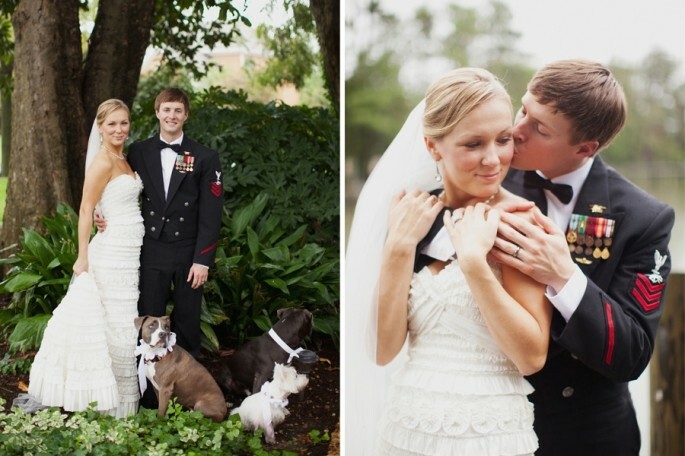 This couple included not just one, but all three of their dogs! Rather than have a flower girl or ring bearer they extended the honor to their beloved dogs — and even included them after the ceremony. Read more about their wedding here!